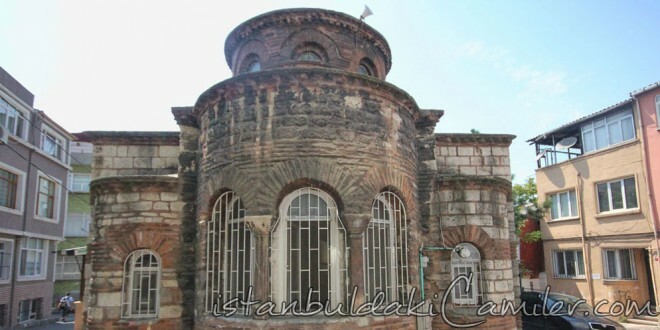 The mosque, also known with the names of Ahmet Pasha Mosque and Chunch Mosque, was converted into mosque by Hirami Ahmet Pasha in 1590 while it was a 12th century Byzantine church of which actual name is unknown. Ahmet Pasha who is buried at Savak Mascid and dervish lodge of which constructive is himself is renowned as “Hirami”. The mosque which has Byzantine architectural characteristics is a typical structure in the form of closed cross. The four tunnel vaults which actually covered the arms of the cross in central place which followed the narthex before were carried by four columns. The points of cover system of the building were fixed on thick wooden girders inserted into side walls by removing the old columns when it was converted into mosque. No masonry minarets have been built for Ahmed Pasha Mosque which was attempted to be turned into convenient form for Islamic worshipping in 16th century. The wooden minaret built in 20th century does not exist today. The inner side of the dome decorated with the best handworks of the 16th century has gained the Byzantine heritage a Turkish artistic touch. The mosque which became damaged within time was opened to worshipping by restoring it through erecting marble columns at the place of four columns which had been picked up chamber of foundations in 1966.